Imagine yourself at home in this quaint Parque Santiago cutie; it checks all the boxes on your list! 3 upstairs bedrooms, 1.5 baths, den/office/bonus room downstairs, with open concept living space looking out to the private enclosed patio. Smart home features include Nest thermostat, Ring doorbell, and lighting. New wood-like tile floors, glittering quartz kitchen counters, stainless steel dishwasher, and low maintenance landscaping all added over the last two years. Modern paint colors, contemporary light fixtures, and upgrades throughout. 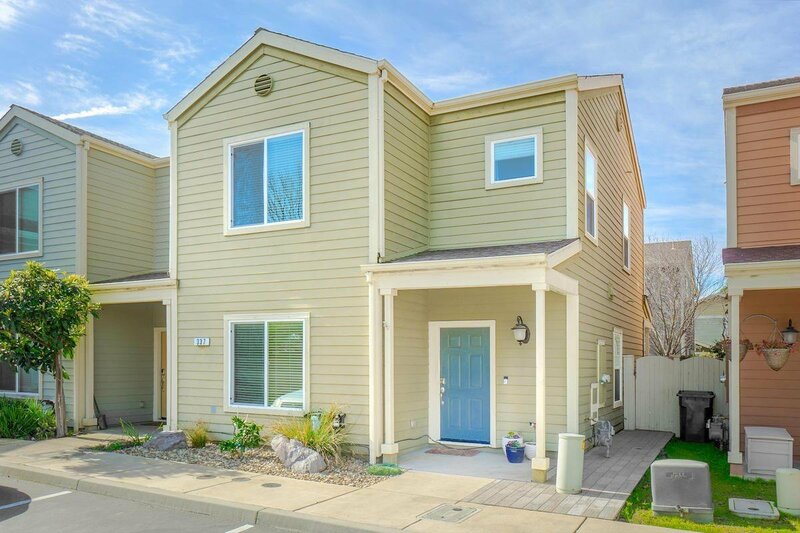 Located next to Davis Swim and Fitness, with easy access to I-80, public transit, and El Macero shopping center (Nugget, Starbucks and restaurants!). Don't miss this rare opportunity! Listing courtesy of Homestead 360 Real Estate Services. Selling Office: RE/MAX Gold Davis.